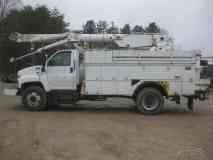 2005 CHEVROLET C7500 C7 ACERT CAT ALLISON WITH ALTEC AM855 BUCKET/BOOM ""$6500"". ..VIN 1GBM7C1C45F513090. ..MILES 124234. ..C7 CAT ACERT 210 HORSEPOWER. ...ALLISON 5 SPEED AUTOMATIC TRANSMISSION. ..33000 GVW,,,,,13000 POUND FRONT AXLE CAPACITY. 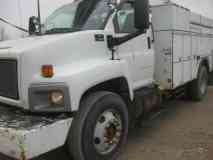 ..20000 POUND REAR AXLE CAPACITY. ..176 INCH WHEEL BASE. ..90 INCH CAB TO AXLE DISTANCE. ..11R22.5 TIRES... APPROX 40 PERCENT TREAD REMAINING. ..AIR BRAKES. ..50 GALLON RIGHT AND LEFT FRAME MOUNTED FUEL TANKS. ..LOCKING REAR DIFFERENTIAL. ..AIR CONDITIONED. ..AM-FM RADIO. ..THREE MAN CAB, SOME DAMAGE ON LEFT SIDE OF DRIVERS EAT. ..DUAL COWL MOUNTED SPOT LIGHTS. 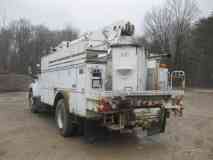 ..
ALTEC 13 FOOT STEEL UTILITY BODY. ..SERIAL ST3301520. ..BUILT 2/05. ..5 CABINETS LEFT SIDE. ..24 INCH REAR BUMPER. .PINTLE HITCH. ..4 CABINETS RIGHT SIDE. ..STEP INTO BED RIGHT SIDE. ..PINTLE HITCH. .DASH MOUNTED BRAKE CONTROLLER. ..6 FOOT OF UPPER CABINETS RIGHT SIDE. ..LEFT REAR STEP. 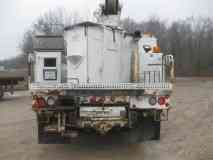 ..
ALTEC AM855 BUCKET BOOM..THIS BOOM DOES NOT OPERATE. .PARTS OF MISSING. 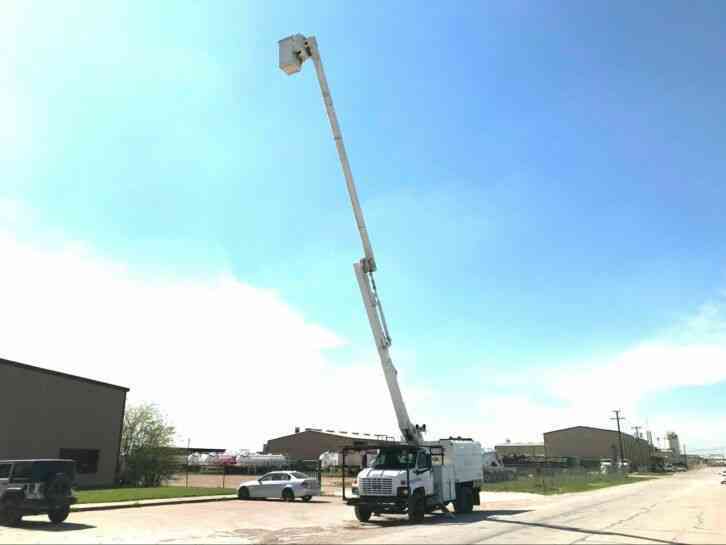 ..POWER TAKE OFF HAS BEEN DISCONNECTED BY ALTEC FOR SAFETY . 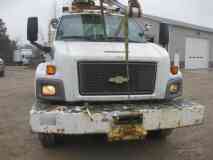 ..
YOU COULD REMOVE THE BOOM AND HAVE A DECENT UTILITY TRUCK. 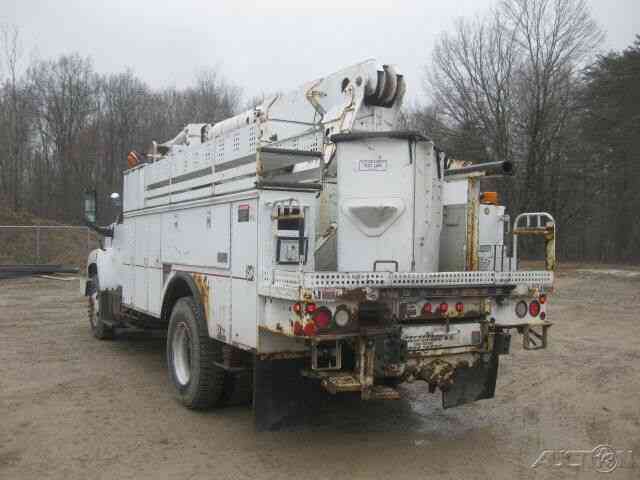 ..YOU COULD REBUILD THE BOOM AND HAVE A DECENT BOOM TRUCK. 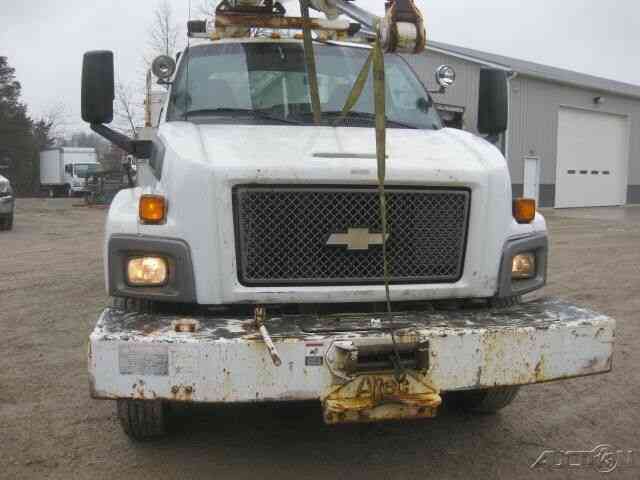 .THIS TRUCK IS PRICED FOR SOMEONE TO DO SOMETHING. 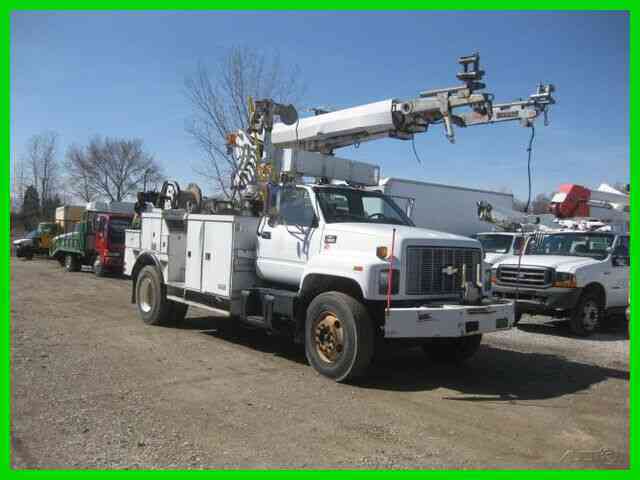 .WE HAVE PRICED THE COMPLETE TRUCK FOR ABOUT THE SAME PRICE THAT YOU CAN PURCHASE A USED C7 CAT ENGINE. .
EDBOWMAN. ..DELAWARE TRUCK CENTER. ..INTERSTATE 71 AT EXIT 131. ..DELAWARE, OHIO, OHIO, OHIO, 43015. ..PHONE 614.316.2252. ..OFFICE PHONE 740.369.9886. ..EMAIL:DELAWARETRUCK@GMAIL.COM. 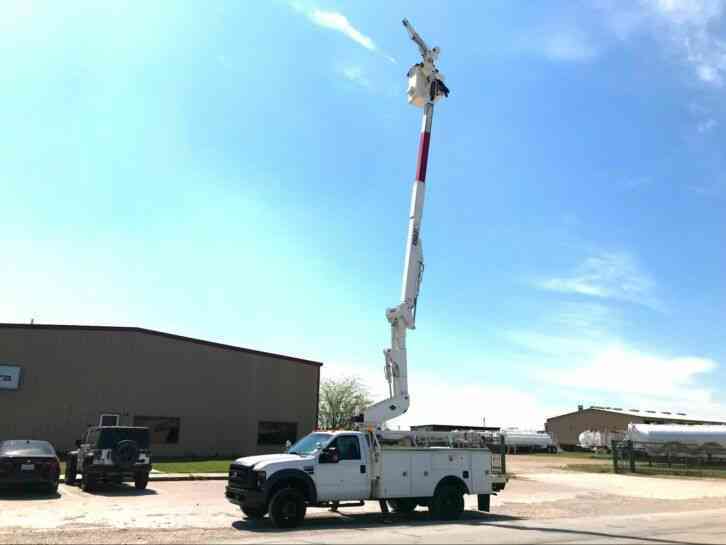 ..
Options and Standard Features Basic Information Year: 2005 Make: CHEVROLET C7500 C7 CAT ALLISON WITH ALTEC AM855 Model: BUCKET/BOOM VIN: 1GBM7C1C45F513090 Condition: Used Type: Bucket, Boom Class: Class 7 (26,001-33,000 Lbs.) 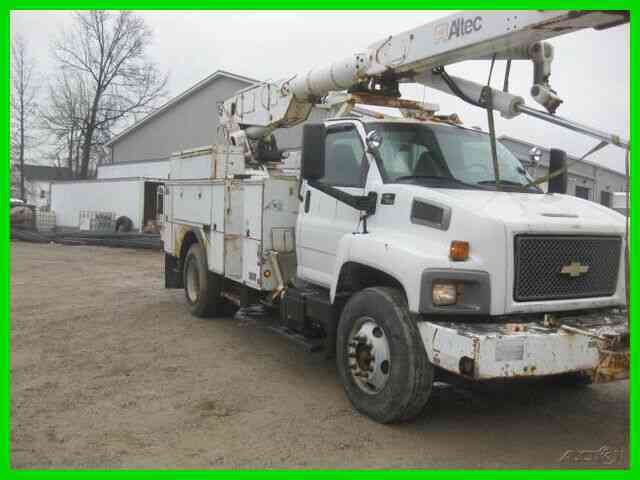 Color: WHITE Mileage: 124,234 Cab Type: STANDARD Passengers: 3 Body Type: ALTEC AM855 BUCKET/BOOM Condition Title: Clear Engine Fuel Type: Diesel Dimensions Length (Feet): Null Contact Delaware Auto Truck Center Ltd 100 south 3 b's and k road Galena Ohio 43021 View Map Ask for:Ed Bowman - Contact: Contact Us Main:(614) 347-1918 Message ED BOWMAN, DELAWARE TRUCK CENTER, 100 SOUTH 3 B"S AND K ROAD, GALENA OH 43021. 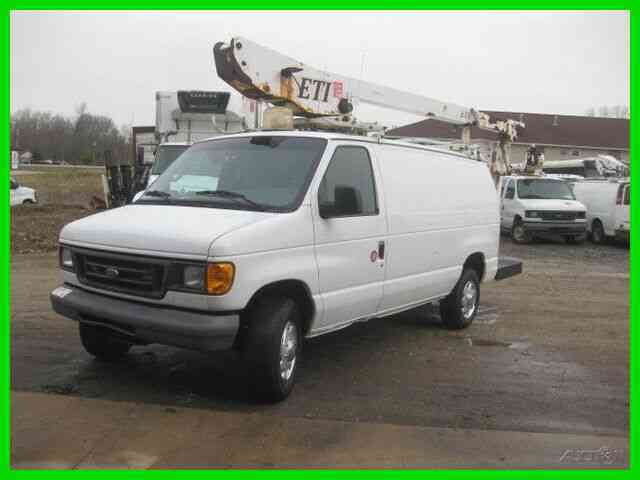 TELEPHONE 614.316.2252. EMAIL: DELAWARETRUCK@GMAIL.COM.